The market is continually changing, but now that minivans and traditional sport utilities no longer dominate the 3-row family segment, others are working to get in on the new deal. Previously dominated by Toyota and Honda, new competition for the 3-row crossover market is coming from others, including Volkswagen. The 2018 Volkswagen Atlas marks the German make’s entry into the segment and it’s a big step up. Literally. 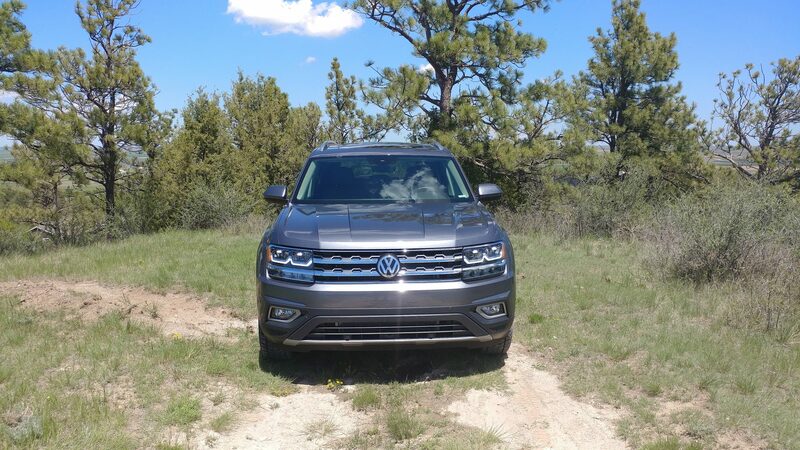 We drove both the Volkswagen Atlas Premium with all-wheel drive and the VW Atlas R-Line in front-wheel drive. Both commendably-done three-row options. The Atlas has room for improvement, but it has room for a lot of other things as well. The all-new 2018 Atlas was fully designed by the company’s U.S. operations arm and is made specifically for North American sales. That shows in some of the vehicle’s design, including its sheer size and breadth. No VW has been this big before. 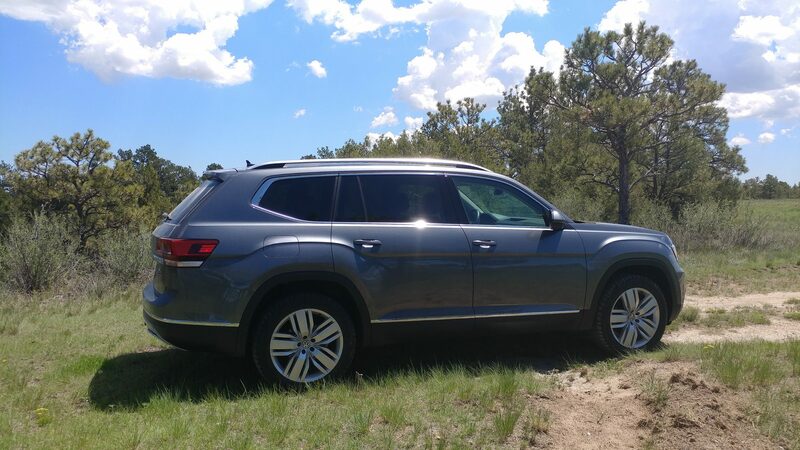 The Atlas fits between the Tiguan and Touareg, cost-wise, but is roomier and more efficient by comparison to either. 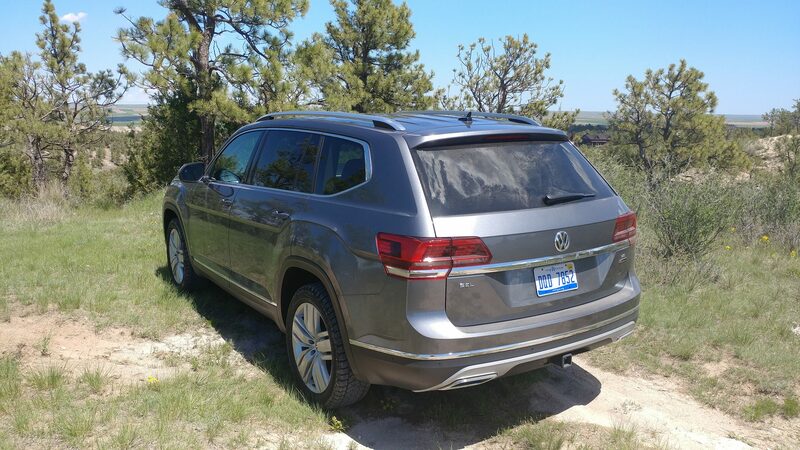 The outside of the 2018 VW Atlas is much like the Tiguan, with bold body lines and lots of movement in its design. 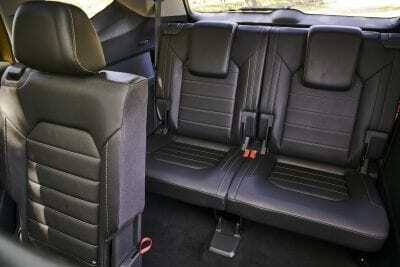 Inside, it’s like most Volkswagen models, using function to define form with little flourish besides. This latter point works against the Atlas when compared to its more ergonomic rivals, but will appeal to those who enjoy the Teutonic bent of the VW brand. The Atlas is available in both front-wheel and all-wheel drive and has two engine options. 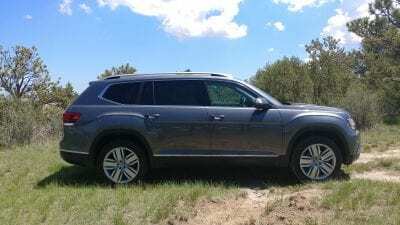 The Atlas has six trim levels. The first four trims are optioned with either the four-cylinder or six-cylinder engine. The top-most SEL Premium comes with the V6 only. S – As the base model for the Atlas, the S trim includes cloth seating, a second row bench seat (total seating is 8), dual-zone manual climate control, LED headlamps, and a 6.5-inch touchscreen for infotainment with Apple CarPlay and Android Auto. A limited-edition S Launch Edition has a few extras added plus the V6 engine. SE – Upgrades from the base S model to add simulated leather upholstery, push-button start, automatic headlamps, heated front seats, a power driver’s seat, blind-spot monitoring, sunshades for the rear door windows, and an 8-inch infotainment screen. Options include second row captain’s chairs (seating for 7), and several driver’s aids and comfort options in the Technology package. SEL – Adds the SE with Technology package plus a panoramic sunroof, power-adjustable front passenger seat, and the option for 20-inch blackened wheels. R-Line – Essentially identical to the SEL, the R-Line adds R-Line-specific badging and exterior cosmetic changes. 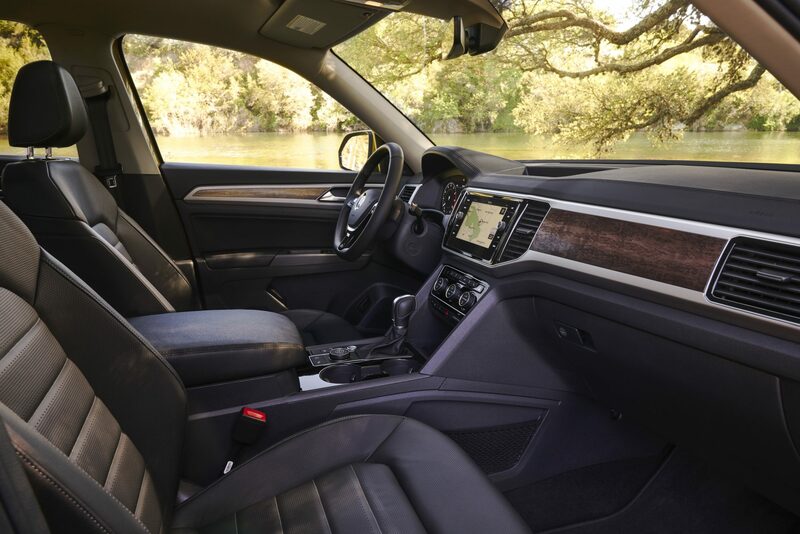 SEL Premium – Adds to the SEL with exclusive features that include the Volkswagen Digital Cockpit (a digital gauge cluster), LED tail lights, leather upholstery, navigation, and a parking assistance system. Options include the aforementioned 20-inch black wheels. 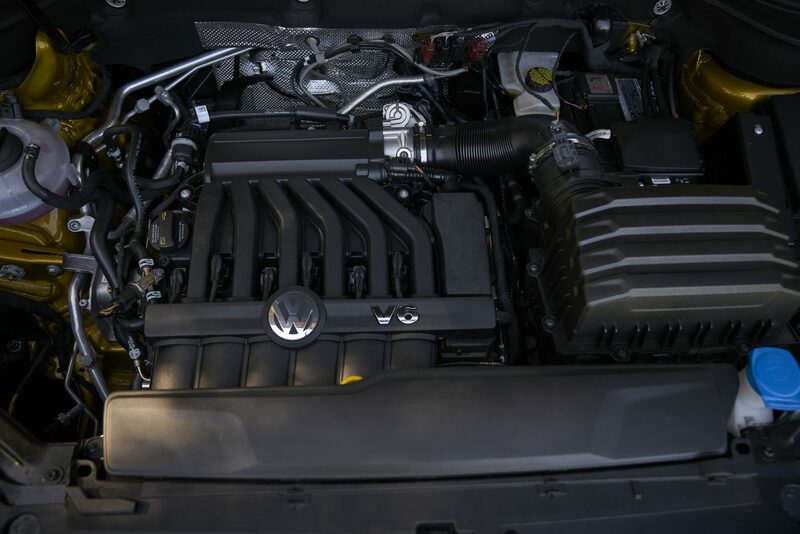 The V6 engine is the only engine choice in the SEL Premium package. The 2018 Volkswagen Atlas has a beefy appeal that sits well on the curb and glides well down the highway. 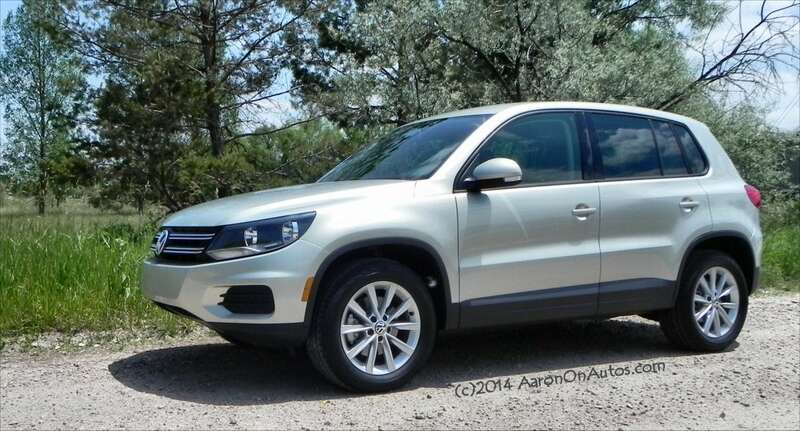 This is a strong, aggressive VW with a flat, no-nonsense hood and wide grille. The Atlas is more SUV-like than crossover-ish, making for a strong look in a field of generally low-key competitors. Body lines on the 2018 Atlas are positive and obvious, making no bones about their curvature and point. The flat roofline mirrors the hood and promises plenty of interior space. 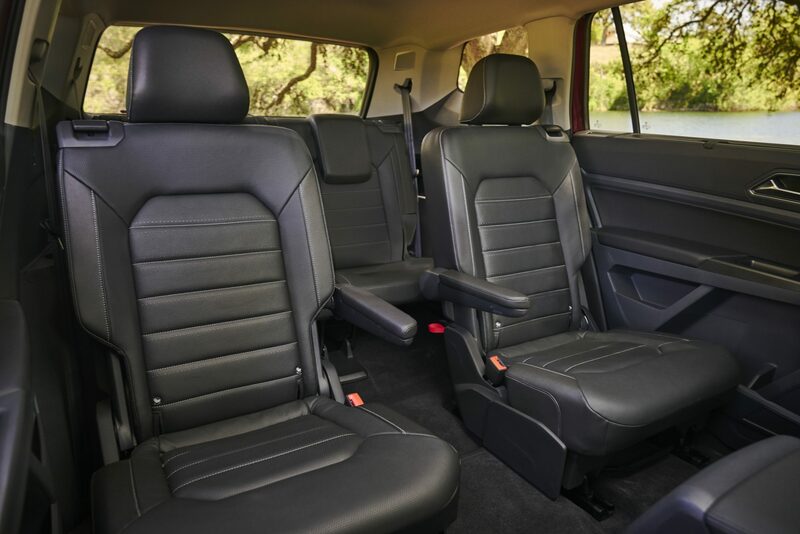 Inside the 2018 VW Atlas, the layout is simple and well done. Roominess is key, with huge amounts of legroom and headroom for the driver and front passenger and second-row riders. The second row’s bench is nicely done with plenty of room for three across, but the captain’s chairs add a lot more comfort and give easier access to the third row. That third row is mostly for kids, but is bigger than will be found in many midsize three-row options. Our greatest beefs with the Atlas’ interior are with the overly-simplified materials choices, which border on feeling cheap. Ergonomics are another concern with storage and daily use access to things being a little less than optimal. That said, there is a lot of goodness in the 2018 Atlas too, especially in the comfort and entry/egress. Getting in and out of the big Atlas is easy thanks to very low sills and high door openings, with the step up and into the crossover being lower than might be expected given its size. 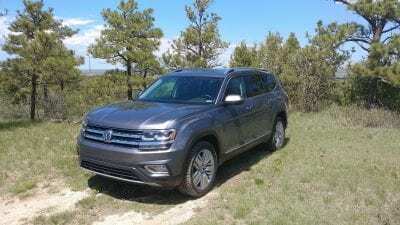 Cargo space in the VW Atlas is good as well, at 20.6 cubic feet behind the third row and 96.8 cubes with the third and second rows down. 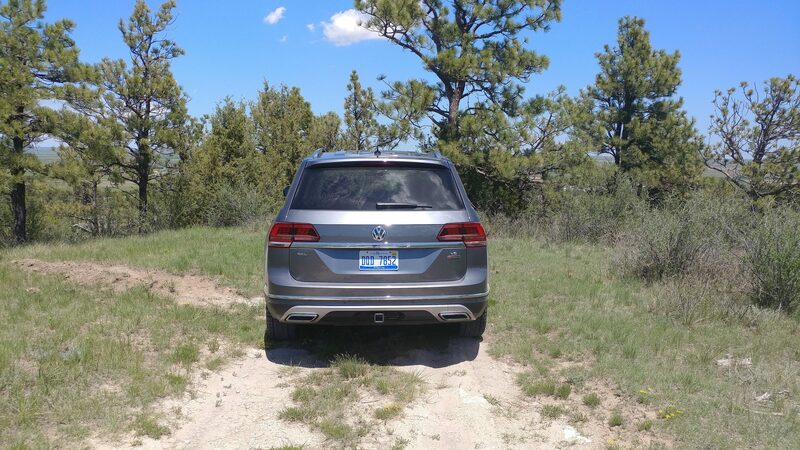 USB ports were also plentiful in the mid-level R-Line and upper-level SEL Premium package we tried. Both of the 2018 VW Atlas models we drove were powered by the V6 engine option. 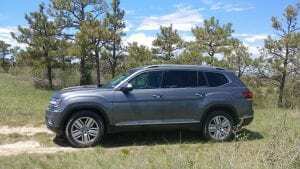 Given its excellence and the likelihood that the four-cylinder is underpowered for the Atlas’ bulk. The four-cylinder is a 2.0-liter turbocharged to produce 235 horsepower. The eight-speed transmission could help make up for some of this engine’s shortcomings, but we’d be surprised if it could. Especially at highway speeds or under passenger load. We’d opt for the V6 with its 276 horses and longer power band of output. The same eight-speed automatic is attached and does well for the crossover. 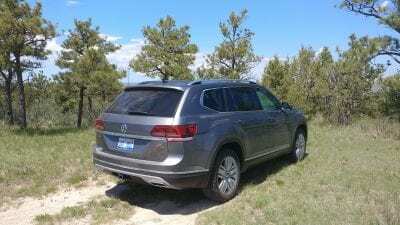 The 3.6-liter offers smooth acceleration, plenty of highway-ready umph, and no struggles when under heavy loads. 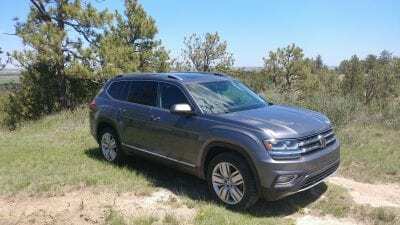 With a full house of six passengers, plus all of their stuff, the 2018 Atlas had no issues getting us around easily. Fuel economy in the Atlas is rated at 22 mpg in the city and 26 mpg on the highway for the 2.0L four-cylinder and 18 mpg in the city and 25 mpg on the highway for the AWD option. The V6 is rated at 18 mpg in the city and 25 mpg on the highway. We saw those V6 numbers clearly in the R-Line package with its front-wheel drive configuration. The city number was a bit lower in the AWD SEL Premium we drove, but the overall numbers were otherwise the same. The 2018 Volkswagen Atlas is fairly maneuverable for its size and carries itself well in daily driving. The AWD is nicely done, but inclement weather with the FWD still showed good handling in light snow. Road bumps are absorbed well and the highway noise is kept low. Responsive steering and an intuitive shape for knowing the Atlas’ corners make maneuvering easy. 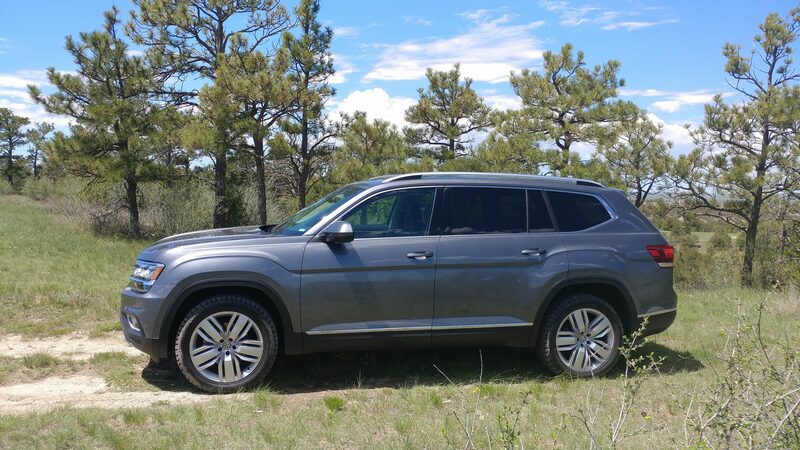 The 2018 Volkswagen Atlas has plenty of competition in its midsize three-row segment. Another all-new option is the Subaru Ascent. A new favorite of ours is the redesigned Chevrolet Traverse. 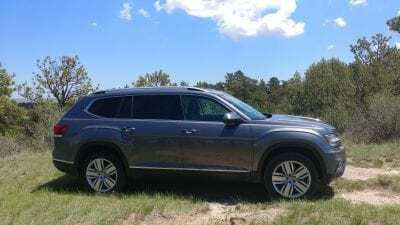 The well-done Toyota Highlander is also a good option and the beautiful and often underrated Mazda CX-9 is another good choice. The lower-cost Kia Sorento is also worth a look. Aggressive look that isn’t overbearing. Strong interior dynamic with lots of space. Road presence and feel are very good. Unsure of reliability as product is all-new. Plain interior may turn off some buyers. 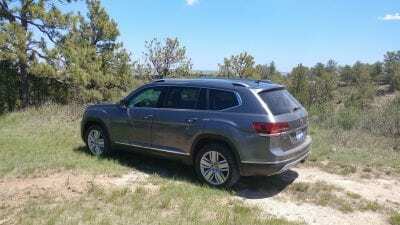 The 2018 Volkswagen Atlas has few faults and plenty of good reasons to buy. As a new alternative to the three-row competition, it’s a great choice that fits what most buyers would want in this segment. With tough competition, though, it’s easy to find alternatives that are just as good. The upside is that just about every entry into the three-row segment, including the 2018 Atlas, is a great one. 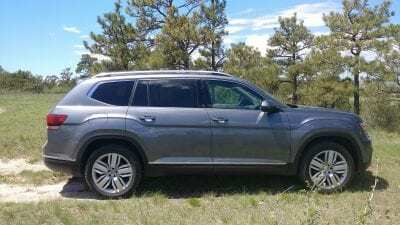 The 2018 Atlas was driven as a manufacturer’s press loan on two occasions. The first was in the Premium model, loaned for about a week, during which time about 210 miles were put on the vehicle under varied passenger loads. 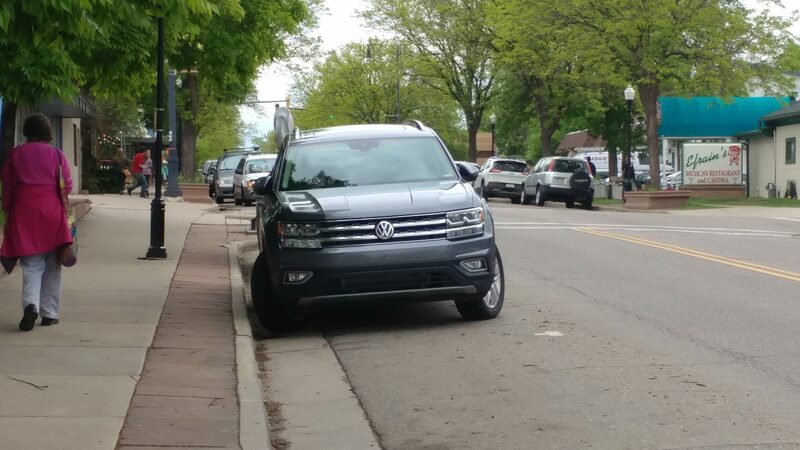 The R-Line was loaned for another week, again with varied passenger loads, with a total of about 150 miles put on the vehicle.